At Airlink Direct we offer low-cost travel services ranging from airport transfers to minibus hire and other taxi services. We are fully licensed by Sefton Council and VOSA (Vehicle and Operator Services Agency). We go above and beyond to make sure every one of our customers is fully satisfied. 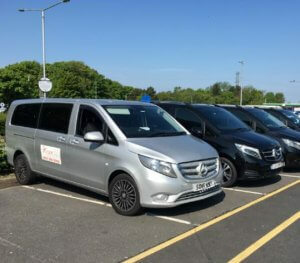 Our most popular services are airport transfers to Liverpool and Manchester airports but transfers to all other UK airports are also available. 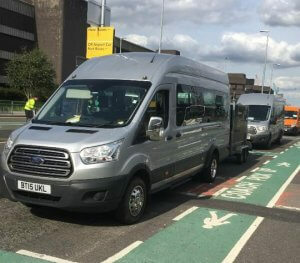 We also get a lot of requests for transport to various events such as race days, weddings, group nights out, concerts and festivals, etc. Wherever you need to go we can drop you off and pick you up when you need us to so that you can enjoy your time with nothing to worry about. We welcome both small and large groups. 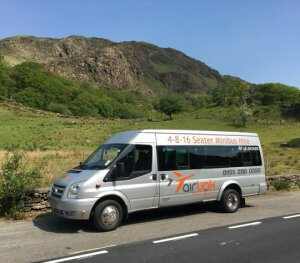 We have 4 seater cars as well as an 8-16 mini bus fleet. Booking is as easy as calling 0151 280 0350 or filling in the form on the left of this page. We are 100% trustworthy and our services are rated 5/5 stars by many satisfied customers. Our vehicles are fully insured and kept clean and safe at all times. We also do full vehicle inspections before each trip to ensure you will always get to where you’re going on time. At Airlink Direct we make use of the latest flight tracking technology in order to make sure we’ll always be there to pick you up on time whether your flight is a little early or a little late. We treat each and every customer with the utmost respect and care. We always strive towards complete customer satisfaction and would go above and beyond to achieve it. Feedback is really important to us and we listen to what each and every client has to say in order to continuously improve our services.